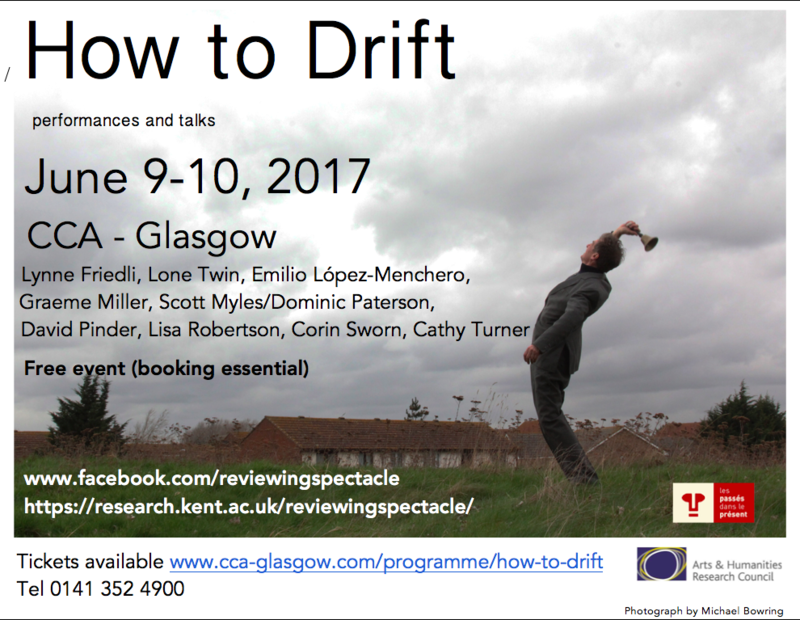 Accueil > Agenda > How to Drift ? To mark the fiftieth anniversary of Guy Debord’s influential text The Society of the Spectacle (1967), this joint artistic and critical endeavour will ask what the radical theories and practices of the Situationist International can teach us today. This event will include live performances, talks and round tables. The two-day event is funded by the AHRC (UK) and labex Les passés dans le présent (France), and will focus on the question: what does it means to drift at a time of discipline and closure?